"Digital, paperless, wireless classrooms may be the way of the future, but what are the setbacks? 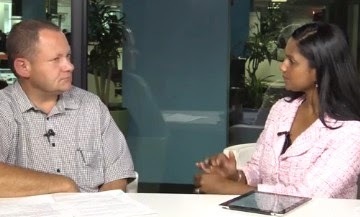 We're joined in studio by an expert to discuss the pros and cons of e-learning." summarizes News24. Riverside College High School Principal and youth counsellor Dave Swart weighs up some of the pros and cons of technology and learning.